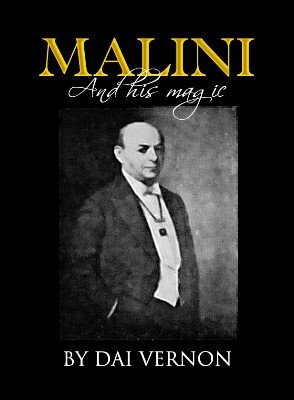 In this ebook, Dai Vernon shows how successfully Malini acted the role of magician and explains the clever methods by which he entertained and mystified audiences all over the world. His magic gained him an entree into the most exclusive circles ... financial and social, both in America and Europe. A list of prominent people entertained by Malini sounds almost fantastic. He presented performances before several American Presidents at the White House, and had many Command Performances for British Royalty at Buckingham Palace. He received decorations or gifts from almost every Monarch in Europe and Asia. Not only did he merely entertain Royalty, but in many cases he became their intimate friend. At one time he spent a considerable time as the guest of the Duke of Windsor, who was then Prince of Wales. On special occasions Malini wore a gorgeously bejewelled ornament which was presented to him by the King of Siam. In this great ebook you are taken behind the scenes and enabled to see how and why Malini became a legend. A feast of tricks, methods and stories. Check it out: Take a look at the free downloadable preview of the ebook. Originally published by Harry Stanley; PDF 109 pages.